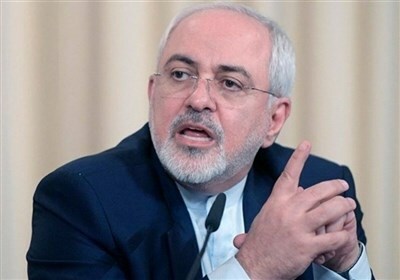 TEHRAN (Tasnim) – The commander of the Islamic Revolution Guards Corps (IRGC) Quds Force called on Foreign Minister Mohammad Javad Zarif to withdraw his resignation and said he is enjoying Leader of the Islamic Revolution Ayatollah Seyed Ali Khamenei’s support and approval. TEHRAN (Tasnim) – Commander of the Islamic Revolution Guards Corps (IRGC) Quds Force Major General Qassem Soleimani topped Foreign Policy (FP)’s 2019 list of Global Thinkers in the defense and security field. TEHRAN (Tasnim) – Commander of the Islamic Revolution Guards Corps (IRGC) Major General Mohammad Ali Jafari deplored US Secretary of State Mike Pompeo’s remarks against Commander of IRGC Quds Force Major General Qassem Soleimani as “ridiculous”. TEHRAN (Tasnim) – Iranian Foreign Ministry Spokesman Bahram Qassemi dismissed as “an absurd lie” a recent report about a meeting between Commander of the Islamic Revolution Guards Corps (IRGC) Quds Force Major General Qassem Soleimani and a US presidential envoy in Iraq. TEHRAN (Tasnim) – Commander of the Islamic Revolution Guards Corps (IRGC) Quds Force Major General Qassem Soleimani shrugged off US President Donald Trump’s recent threats against Iran, saying if the US were to begin a war, it would be Iran that would finish it. TEHRAN (Tasnim) – Commander of the Islamic Revolution Guards Corps (IRGC) Quds Force Major General Qassem Soleimani expressed his gratitude to Iranian President Hassan Rouhani for his recent remarks about the US’s threats to cut Iran’s oil exports and his comments against the Tel Aviv regime. TEHRAN (Tasnim) – Israel’s horror, maniacal measures and vain attempts indicate that the Zionist regime is not going to last long, senior Iranian commander Major General Qassem Soleimani said Thursday. TEHRAN (Tasnim) - Senior Iranian commander Major General Qassem Soleimani praised the axis of resistance for defeating terrorists in Syria and Iraq, saying such a major victory against Takfiri groups, which had 7,000 suicide attackers, has greatly contributed to calm in the region and the world. TEHRAN (Tasnim) – A leader of the Palestinian Resistance Movement, Hamas, hailed top Iranian commander Major General Qassem Soleimani for offering unconditional support for Palestinian forces in defending the holy city of al-Quds (Jerusalem). TEHRAN (Tasnim) – Commander of the Islamic Revolution Guards Corps (IRGC) Quds Force Major General Qassem Soleimani voiced Iran’s readiness to provide the Palestinian Islamic resistance forces with whatever support is necessary in defending Al-Aqsa Mosque in the holy city of al-Quds. TEHRAN (Tasnim) - Senior Iranian commander Major General Qassem Soleimani announced on Tuesday that the self-proclaimed caliphate of Daesh (ISIL) terrorist group has formally collapsed in Islamic territories after recapture of its last stronghold in Syria’s Albu Kamal. TEHRAN (Tasnim) – Tehran's Provisional Friday Prayers Leader Ayatollah Ahmad Khatami said the world should be grateful to Commander of the Islamic Revolution Guards Corps (IRGC) Quds Force Major General Qassem Soleimani for his major role in defeating Daesh (ISIS or ISIL) terrorist group. TEHRAN (Tasnim) – Senior Iranian commander Major General Qassem Soleimani described Iran as a central element of stability in the Middle East, saying it has contributed to peace and calm in other nations and helped them irrespective of religious affiliations. TEHRAN (Tasnim) – World-renowned Iranian commander Major General Qassem Soleimani condemned the killing of an Iranian serviceman, who was recently decapitated by Daesh (ISIS or ISIL) terrorists in Syria, as “a savage act” and pledged to take revenge on the terror group. TEHRAN (Tasnim) – World-renowned Iranian commander Major General Qassem Soleimani hailed the liberation of the Iraqi city of Mosul from Daesh (ISIL) terrorist group as a victory for all humanity. TEHRAN (Tasnim) – Iran’s ambassador to Britain praised the role of Commander of the Islamic Revolution Guards Corps (IRGC) Quds Force Major General Soleimani in recapturirng Iraq’s northern city of Mosul from the Daesh (ISIS or ISIL) terrorist group as “unparalleled”. TEHRAN (Tasnim) – The commander of the Islamic Revolution Guards Corps (IRGC) Quds Force, Major General Qassem Soleimani, said foreign-backed Takfiri terrorists are experiencing worst-ever defeats on “all fronts”.